Fill out our simple form and get quotes from local audio visual hire companies. AV equipment brings your event to life and gives it a professional edge. Our suppliers can provide you with the audio visual equipment hire and guidance you need to make sure everyone hears, sees and enjoys your event. Get a free quote from AV suppliers today. Audio visual hire includes monitors, speakers, microphones, projectors, camcorders and a whole lot more. 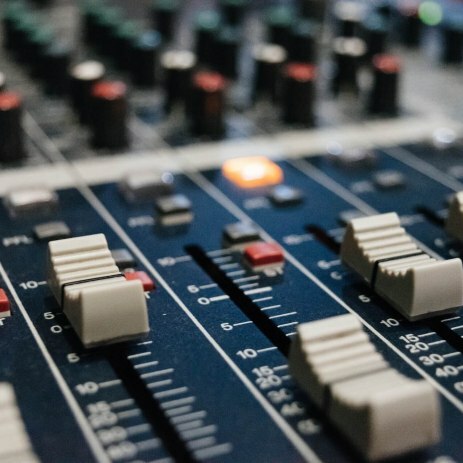 Our AV equipment suppliers are experts and will be able to source whatever equipment you require, or advise you on the best setup and audio visual services for your event. Essential for corporate events and conferences, the right AV equipment allows your key speakers to be heard and your message to be delivered. Similarly for festivals, concerts or any large event with entertainment, you want to ensure everyone enjoys the full experience of your entertainer. Audio visual companies can set everything up for you and even be on hand in case of any technical glitches. To find audio visual companies in your area just browse suppliers here.